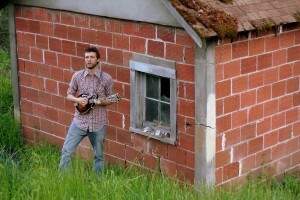 On mandolin is Phil Johnson, hailing from the great state of Texas. His burning mandolin breaks and barking chop are inspired by a miriad of mando-masters, from the great forefathers Bill Monroe and John Duffey to the more progressive Tim O’Brien and David Grisman. Phil’s hot licks are heard on a 1977 Ibanez 527 Mandolin, of which he is quite proud. 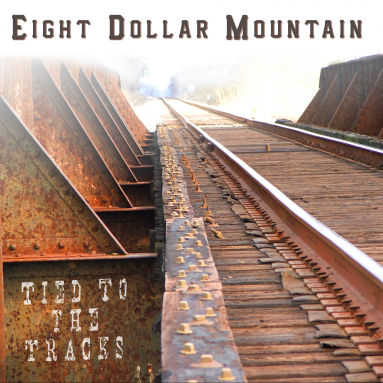 Phil also contributes his songwriting, lead and harmony singing to the Eight Dollar Mountain sound. Phil is married to the greatest woman in the world and they have an amazing son (and budding musician) named Austin. His wife Andrea is learning the bass. They all reside in a house in Ashland, Oregon.